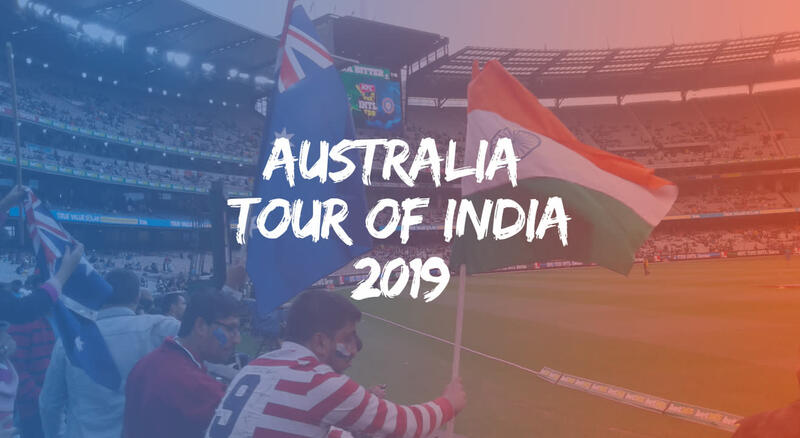 Get tickets and updates about matches on Australia's tour of India here. Don't miss one of the most-followed rivalries in the world. Australia will be touring India for two T20Is and five ODIs - will the Men in Blue recreate the magic of their performance last time? Here's where you can buy tickets and sign up for updates about match tickets going live. Get tickets to the ODI match in Delhi! It's been a series full of new records being set and jaw-dropping run chases. With the score at 2-2, watch the action at Feroz Shah Kotla as the fate of this ODI gets decided once and for all. Insider.in will be the official ticketing partner for some of the matches on this highly-anticipated tour. To be the first to know when tickets to matches go live, sign up below. Plus, you can look forward to exclusive deals and offers. One of the rivalries that defines modern cricket, one that has given us classics across all three formats and some stellar individual performances, this series should be an absolute cracker for fans. The Indian team pulled off the performance of a lifetime to win a historic test series Down Under 2-1 recently, and the Aussies will be itching to give it back. Tickets for the series will go live soon. In the meantime, check out the schedule below.